This mount works with the pop socket pop out grip attached to the back of your iPhone, Samsung Galaxy or Android mobile device phone. Go hands-free while driving with the pop socket on your phone. Our air vent car mount is designed specifically for pop sockets. Mount your phone with your pop socket that is clipped to your car's air vent. Strong 2-Level adjustable tightness design clips to your air vent and provides adjustable grip to fit 95% of air vents with variable thicknesses. Create the perfect viewing angle with 360-Degree rotation of your phone and bendable arm. Compatible with all the Pop Socket Phones / expanding phone grip stands. Hand-free speakerphone use, easily maneuverable and adjustable, easy use of your favorite audio apps and Navigation apps including Google & Apple Maps. Listen to music, audible audiobooks and podcasts while charging your phone and driving your car. IF YOU ARE NOT ABSOLUTELY SATISFIED WE WILL GLADLY REFUND YOUR PURCHASE. We want you to be happy with our product! 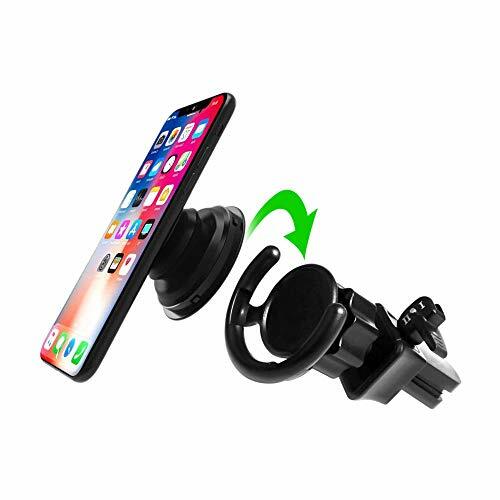 Our Best Selling Pop Socket Air Vent Clip Mount for use in your Car for hands-free use of your cell phone while driving. If you have a Pop Socket, Pop Out Expanding Grip on the back of your Smartphone, iPhone or Android device this mount provides a secure grip to the blades on your vehicles air vent. This Pop Socket Car Vent Clip allows for hands-free use of your cell phone for your favorite navigation apps like Google and Apple Maps. See Alerts, Text Messages and who is calling you without taking your eye off the road and fumbling around with your phone. Easy Installation for Popsocket mount clip on your your car's air vent blades. We offer 12 months worry-free warranty. If you have any questions about this product by KOMTECH, contact us by completing and submitting the form below. If you are looking for a specif part number, please include it with your message.